For Altenew post and giveaway please click HERE. 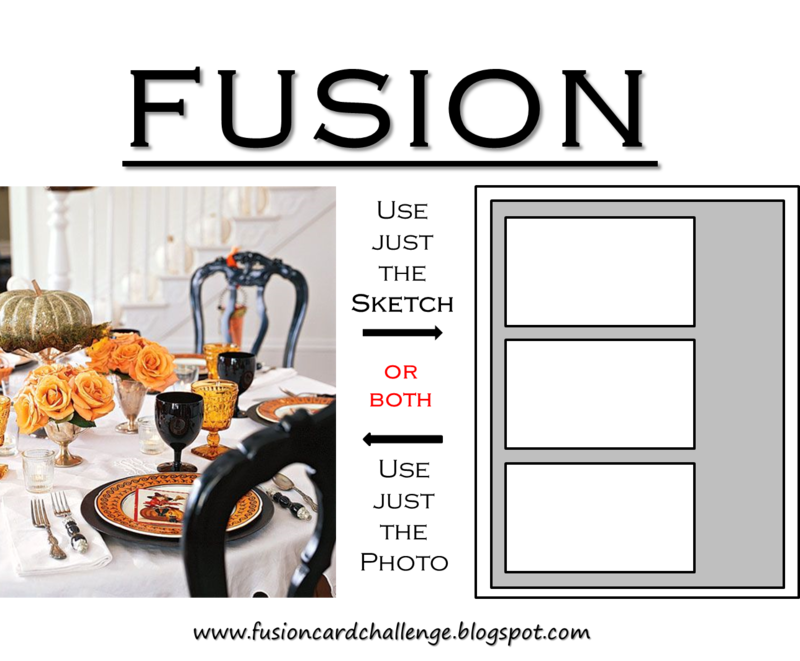 Hello Everyone...I am just playing along with Fusion Card Challenge this week using one of the recent October 2014 release from Wplus9. For this challenge I only used the sketch.. 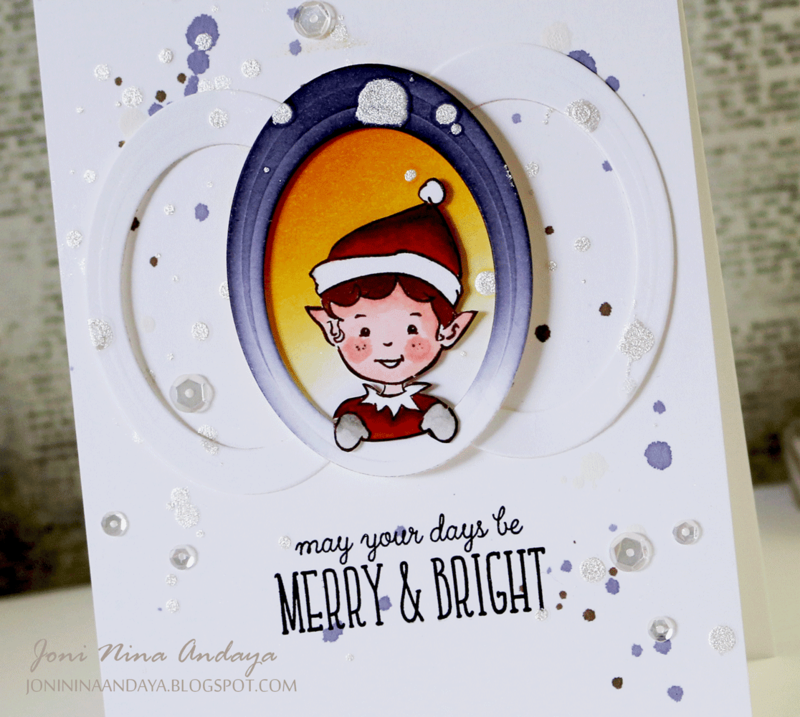 I used the cute elf and its coordinating sentiment from Wplus9 Merriest Wishes stamp set. I die-cut some ovals using the spellbinder ovals and created three windows. One of the three I distressed it using PTI True Black ink, its not really black...when I use it for distressing. For some reason this ink usually gives this color, I kinda like it in a way. Then, I colored the elf and fussy cut him and adhered him on the oval window as if he's looking out. I really liked how Wplus9 made him...it gives me way to extend the use of this cute little guy. To finish off the card I added some splatters and Pretty Pink Posh Sparkling Clear sequins. Here's the the full image of the card. If you want to play you can click the link Fusion Card Challenge. So cute. Your elf is colored fabulously. Great sketch and so creative thinking! Love the 3 frames with the Christmas Elf, soooo very cute! Like the pointy ears a LOT, ha, ha! How CUTE is this!! Your coloring is just wonderful Joni!! Sooooooooo cute! I love love love the elf!!!!!!!!! How creative! This is so sweet! I love the three circles and he's just soo cute! This is just so wonderful! Found your blog via Altenew's blog hop, your work is beautiful and creative! What a creative take on the sketch ... and those splatters are perfection ... so very glad you joined us at the Fusion Card Challenge. Adore how you used ovals instead!! AMAZING colors, lovely addition to the FUSION Gallery of cards, LOVE it, thanks for joining us at FUSION!!! Joni everything you do is amazing. I love the coloring on this vintage looking elf - those rosy cheeks!! and all that sparkle and shine is yummy! !